Here we are… Last day of this beautiful experience, spending summer with KnowNow for three months in Portsmouth, UK. We are Fatima and Tiziana, two girls from Italy. After our final GCSE exam, we decided to live this adventure in a different country, language and culture. For those three months, we worked in KnowNow Information. We are happy that we worked in this company because the staff was very kind and welcoming. We learned so many things. For instance, how to manage the social media and the advertising of products, projects and events. Moreover, we discovered some new programs to create and edit photos like Canva, and videos like Lumen5. This was then published on social media. We also learned to use Buffer and Bulkbuffer to programme, update and schedule posts for the social media stuff. We also know how to use WordPress to create blogs like this one! The first one is “Consentua for schools“. We collected the publicly available name, address, e-mail of the head teachers of schools in Portsmouth. A letter was written to tell them about Consentua. Consentua is a consent management service that gives users choice and control over their personal data. The second project was for Chatbots. 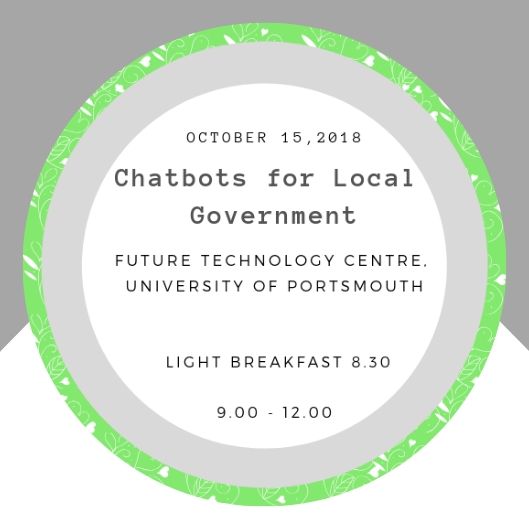 We had to create invitations for the event that will be on 15th of October 2018 at the University of Portsmouth. 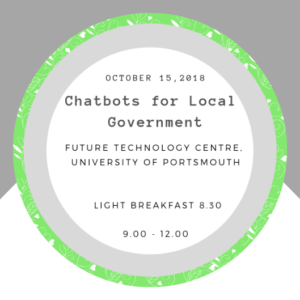 We created some images with Canva to promote this event on the web. For these projects, we used Excel to facilitate the work in looking for information. At the end of this experience, we can say that this internship exceeded our expectations for a different point of view. First of all, we’ve learned lots of stuff that we didn’t know before. Furthermore, we improved our English thanks to David and Chris who involved us and talked to us as much as possible.